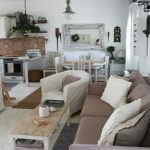 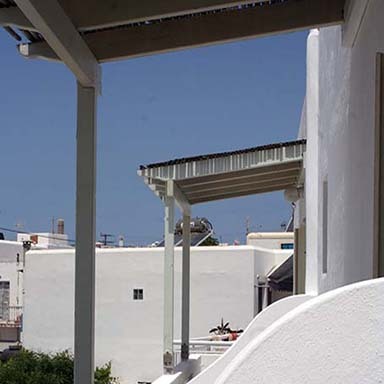 Situated near the port of Antiparos you can find the family run hotel Korali. 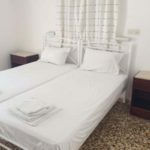 Situated near the port of Antiparos you can find the family run hotel Korali. The hotel is located in a quiet traffic free street close to the main street. 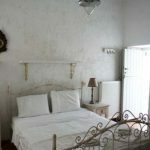 Korali hotel can offer you a pleasant and comfortable stay in a calm and friendly surrounding. Korali apartments are situated in Antiparos town. 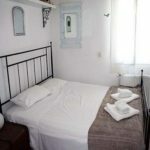 The apartments is in a walking distance to all facilities such as beach, cafe, restaurants, shops and the port. Breakfast is served daily from 8.00 am to 11.00 am at the yard of our hotel and costs from EUR 6.00 per person. Lunch & dinner is served daily with local home cooking based on fresh vegetables from our garden.